Come July 31, the best line up of Nigerian entertainers will storm the city of Abuja for the first leg of this year’s Crack Ya Ribs. The show which is one of Nigeria’s biggest concerts has over the years been described as an exciting night of music and comedy show. 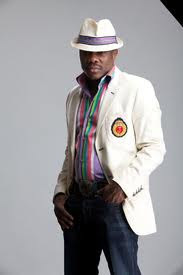 According to the host of the show, Julius D’Genius Agwu, he said the organizers of the show are putting lots of efforts into this year’s show to give the people resident in Abuja quality entertainment that will linger in their minds for a long time. “For the people that have been part of Crack Ya Ribs in Abuja in the past, they can testify to the standard of the show in terms of quality entertainment and we don’t intend to rest on our oars. Aside our line up of entertainers for this year’s Crack Ya Ribs, there will be lots of surprises at the show. We are introducing something that has never been done before in Abuja. And not that we want to do something extra ordinary so to say, we are simply taking entertainment to the next level. With all modesty, Abuja will rock on July 31”. Some of the headliners of the show are Okey Bakassi, Ice Prince, Basketmouth, I Go Dye, Flavour, Funny Bone, Tiwa Savage, Senator, Dan DHumorous, Osama, Lynxxx and the host of the show, Julius D’Genius Agwu. The venue of this year’s show is the Thisday Dome and tickets for the show are already selling in some select stores in Abuja. As usual, Aero Contractors, which is the official carrier of the Abuja show and also one of the leading airlines in Nigeria, will be flying the entertainers from Lagos to Abuja. Crack Ya Ribs has held in different part of the world including London and America. It has no doubt become one of the biggest annual concerts in Nigeria. The 10th anniversary edition of the event was celebrated in Lagos last year amidst pomp and pageantry with the attendance of great personalities. The show has featured great entertainers in the past ranging from Ali Baba, D’Banj, Basorge Tariah, 2Face Idibia, MI, Okey Bakassi, Seyi Law, Timaya, Gandoki and many others.